EnjoyFresh is a marketplace for unique dining experiences and local food vendors and producers. Chefs and local restaurants are hand-picked to provide members with exclusive, chef-curated dining experiences like off menu dishes, tasting menus and chef-led workshops. 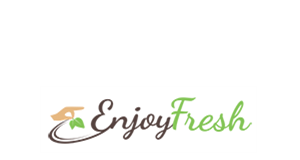 EnjoyFresh also provide a marketplace for local artisanal food vendors who hand-craft their products for local consumers and produce in small batches. EnjoyFresh engaged with FireStart to create an results-based marketing strategy and roadmap, kickstart a focused user acquisition campaign, provide content development and marketing, amplify social media marketing, test and launch new services, refresh their website content, create strategic partner presentations and support their brand ambassadors with sales collateral.